With over 12 years’ experience in the development and delivery of quality cookery and nutrition projects, The Organic Cookery School can offer your school, children’s centre or community organisation, a one-stop shop for healthy eating and family cookery activities, as well as training for your staff and volunteers in the delivering of family cookery and nutrition programmes. 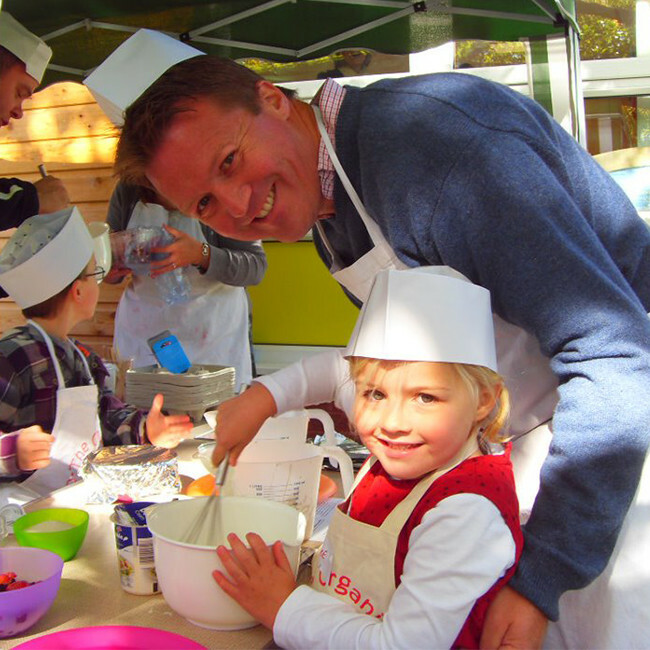 We offer schools advice and support on accessing project funding, and work in partnership to engage target beneficiaries with recipes they will want to make. Where appropriate, we offer a full outreach service (staffing, resources, ingredients and a mobile cookery kit for up to ten -twelve workstations).